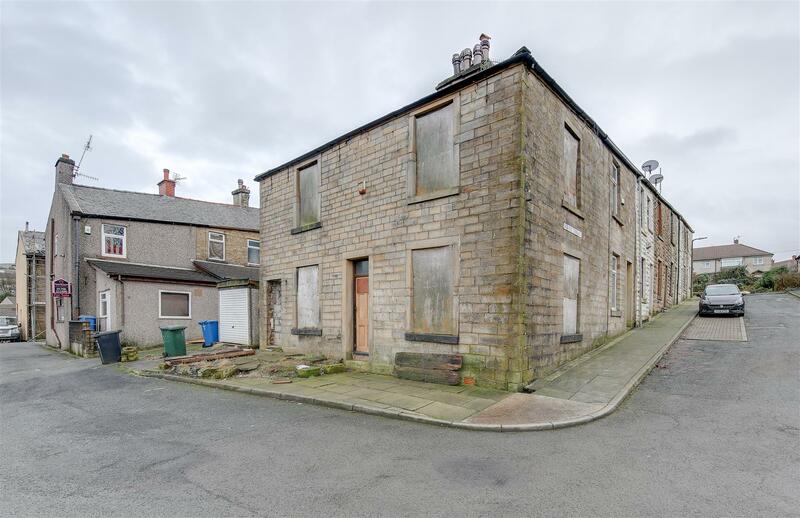 Beaver Terrace, Bacup, Lancashire is a 3 bedroom end of terrace home, in need of extensive full renovation & improvement, for sale with NO CHAIN DELAY. 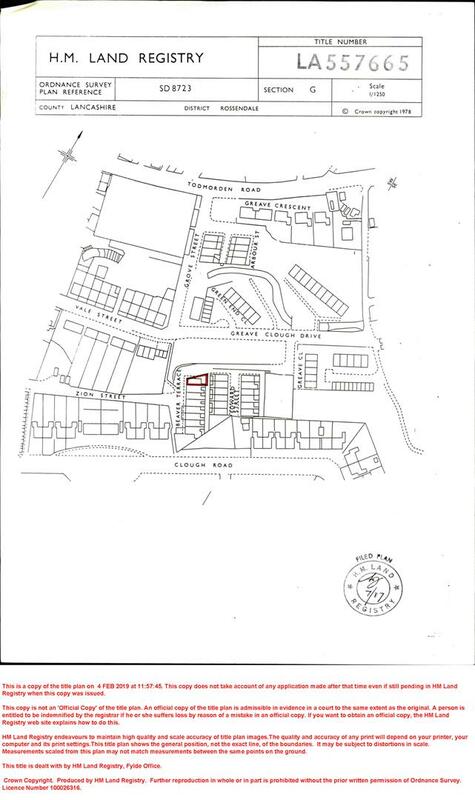 Sitting at the bottom of the row, the property also has a garage to the rear and a small area of outside space, (see attached Title Plan). Internally, the property briefly comprises: Entrance Hall, Lounge, Breakfast Kitchen, first floor Landing off to Bedrooms 1-3 and Bathroom. With easy access to local facilities and links to destinations across Rossendale, via through-valley commuter and public transport connections, the property is convenient for Rochdale, Burnley, Todmorden etc. Bacup town centre amenities are all nearby too. Stamp Duty: 0% up to £125,000, 2% of the amount between £125,001 & £250,000, 5% of the amount between £250,001 & £925,000, 10% of the amount between £925,001 & £1,500,000. For some purchases, an additional 3% surcharge may be payable on properties with a sale price of £40,000 and over. Please call us for any clarification on the new Stamp Duty system or to find out what this means for your purchase. Unless stated otherwise, these details may be in a draft format subject to approval by the property's vendors. Your attention is drawn to the fact that we have been unable to confirm whether certain items included with this property are in full working order. Any prospective purchaser must satisfy themselves as to the condition of any particular item and no employee of Farrow & Farrow has the authority to make any guarantees in any regard. The dimensions stated have been measured electronically and as such may have a margin of error, nor should they be relied upon for the purchase or placement of furnishings, floor coverings etc. Details provided within these property particulars are subject to potential errors, but have been approved by the vendor(s) and in any event, errors and omissions are excepted. These property details do not in any way, constitute any part of an offer or contract, nor should they be relied upon solely or as a statement of fact. In the event of any structural changes or developments to the property, any prospective purchaser should satisfy themselves that all appropriate approvals from Planning, Building Control etc, have been obtained and complied with.